However, putting collagen creams on the skin or injecting the protein into the dermal layers isn’t the only way to benefit from this beauty industry mainstay. “Taking a high quality, scientifically proven supplement that encourages the body’s own natural collagen production is an excellent way to foster skin hydration, health and beauty from the inside out—and when formulated with other proven ingredients that target the visible signs of ageing, one could expect to see smoother and softer skin. Why? Because this supports the body’s own collagen synthesis mechanisms and regulates hydration levels,” Atkin says. An exciting natural ingredient that supports this collagen production is scientifically researched Lipowheat™, proven to deliver the results women are looking for – firmer, smoother and softer skin. Qsilica ProCollagen is the first formula on the Australian market to contain Lipowheat™. On his widely respected television show, Dr Oz demonstrated how the ingredient acts like glue that brings the “right kinds of fats into the skin and allows the skin to find its moisture again and become more hydrated”. • Lipowheat™ is an all-natural wheat seed extract containing a complex of ceramides and digalactosyl diglycerides, obtained through gentle extraction. • Ceramides are lipids – these key skin constituents account for 35 to 40 percent of “intercellular cement” that composes the skin’s barrier. • It is non-GMO and free from dairy, soy, yeast, egg and corn. Lipowheat has been recommended by Dr Mehmet Oz and dermatologist Dr Tess Mauricio, with both experts noting it helps promote collagen synthesis, working from the inside to support the body’s natural production of the protein. “You’re literally restoring some of the damaged barrier; rebuilding those cracks and filling out the wrinkles,” Dr Oz said. Clinical studies have shown Lipowheat™ improves skin hydration and remedies signs associated with dry skin such as itching, roughness and squamae—the small skin particles that are characteristic of dry skin. In the 2010, researchers studied two groups. The first, given a placebo, noticed no signs of improvement in the quality of their skin. Meanwhile, those who took Lipowheat™ reported greater skin hydration, softer and smoother skin—changes also recorded by dermatologists. The ultimate finding? Lipowheat™ is clinically proven for high skin moisturisation, anti-ageing effects and overall improvement in skin apprearance. Multiple award-winning Australian beauty from the inside and out brand, Qsilica, recognised these benefits and expertly formulated Lipowheat™, with brand hero colloidal silica and powerful skin nutrient Vitamin C into their Qsilica ProCollagen—vegan tablets to be taken twice daily for the first 12 weeks and once daily thereafter for consistent results. Encourages smoother and softer skin. Women of any age with skin afflictions such as skin dryness, fine lines and wrinkles. Women who want to take a proactive, preventative approach to ageing. 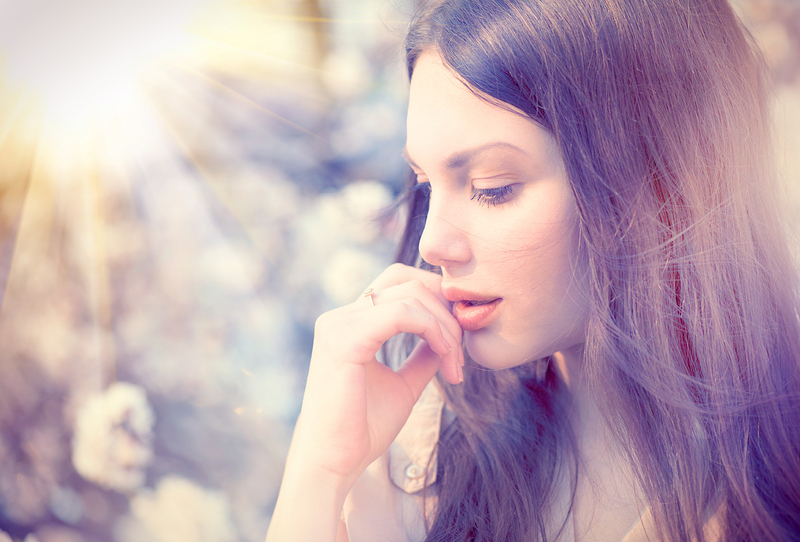 Those who choose natural, yet scientifically proven, anti-ageing solutions. 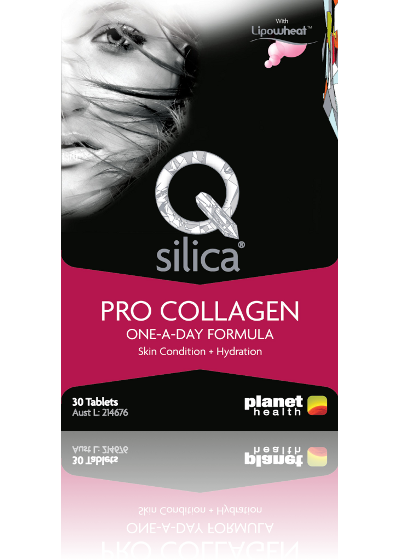 Qsilica ProCollagen, $49.95RRP for 30 tablets.